In these years BUDMA has become a reference international fair for construction sector. 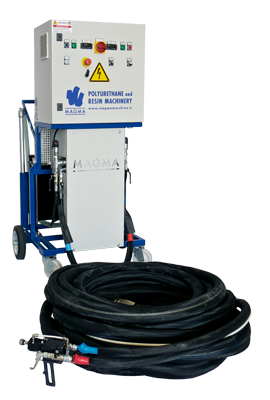 Magma Macchine, present since first edition, also this year will be in Poznań (Poland) to introduce its production and its models of polyurethane and polyurea spraying machines to its many clients as well as new comers. We all welcome you in Poznań from 12th to 15th of February at Booth 101, Hall 3, Poznań International Fair.